Singapore: Collaborative networking is essential for strategic missional objectives. 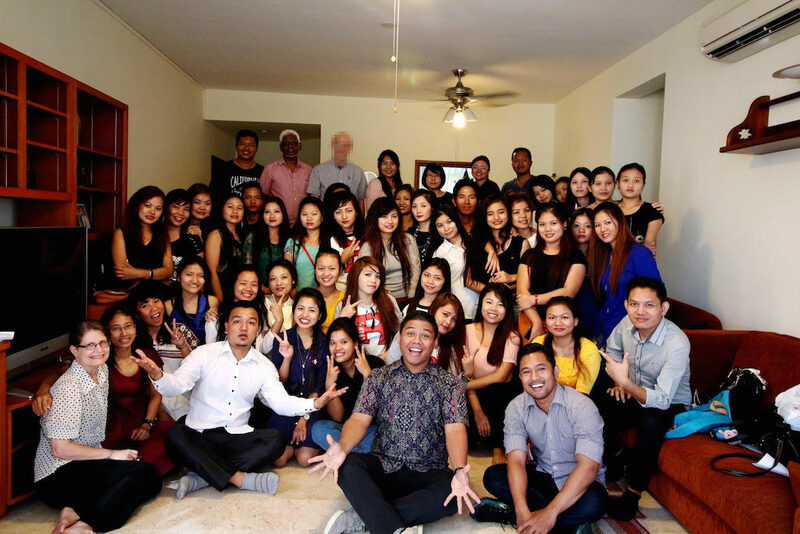 After prayer and fasting God directed us to reach the Myanmar people group living in Singapore. Pastors Hnema and Mafinga currently studying at APNTS, Dr. Bill the incumbent DS and Country Coordinator of Myanmar, Dr. Collin Elliott (APR New Initiatives Coordinator), Field Strategy Coordinator of the Sealand Field and myself began this exciting initiative. Our first meeting took place on September 4th, 2016 with 35 people in attendance. In Our October meeting the attendance grew to over 50 with initial online Bible studies in progress. God is at work in Singapore and we are looking at every opportunity to fulfill the mission of God by reaching out to all people groups who need to hear the good news of salvation. Please partner with us in prayer, sending contact details of friends, Nazarenes and family members working in Singapore. See, I am doing a new thing! Now it springs up; do you not perceive it? I am making a way in the wilderness and streams in the wasteland. Isaiah 43:19 (NIV).